Adelaide Auto Refinishers (SA) Pty Ltd is a boutique paint technician and crash repairer service to European car models including BMW, Audi and Lexus. Wayne launched Adelaide Auto Refinishers Pty Ltd in 2000 after working for other crash repair companies for 8 years. Wayne has a rich and impressive history in the automotive industry. He has taught a 2PAC painting and colour matching course at the Motor Trade Association Trade School and won multiple awards including the Dulux Colour Matching Competition and multiple car show awards. Wayne has an extensive array of relationships, having worked alongside BMW at Adelaide Motors for 18 years, the Porsche Centre for 12 years, City Holden for 8 years and a continuing relationship with Solitaire Automotive. We’re constantly striving to deliver exceptional customer servicee and high quality workmanship through a combination of great equipment and even better technicians. 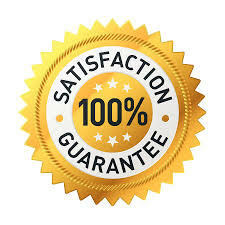 We have worked on hundreds of vehicles performing vehicle reconditioning, wheel repairs, warranty work, insurance work and refinishing new vehicles before sale. At Adelaide Auto Refinishers (SA) Pty Ltd, we are proud of our longstanding history and we’re determined to be here for the long term. Since its humble beginning, Adelaide Auto Refinishers (SA) Pty Ltd has transformed from a mobile paint refinisher to the small crash and paint repairer specialist it is today. All of our work is now performed in our state-of-the-art workshop, enabling us to hone in on our speciality. Today, Adelaide Auto Refinishers is a owner-operator business. He prides himself on face-to-face service, quality customer relationships and fast turnaround – generally next day turnaround. Because we service a niche market, we can guarantee you won’t have to wait 2 weeks for your car to be returned to you. We only take on as much as we can handle for this reason. Wayne has always been an interpreter of all things to do with paint and cars and consequently, Wayne, is now offering his specialised Hydro graphics service in Adelaide and south Australia which is the process of water transfer printing. When people first see this they are amazed due to virtually any design can be can be printed on any 3D Item or object. Want your mag wheels to have a wood finish then Hydro graphics can make it happen or about your steering wheel having a metal finish. This startling new process is transforming how cars can be customised. Mag wheels >steering wheels > engine covers > dashboards > badges interior trim > exterior trim > wing mirrors > engine grills > exhausts > air intakes > hub caps > door handles > gear stick and rear view mirrors.